The 2018 Irish Tarmac Rally Championship moves into the second half of the season with the fourth round, the Joule Donegal International Rally this coming weekend. The title is very much up for grabs with several drivers still in contention and the top three are only separated by two points after the recent Rally of the Lakes. 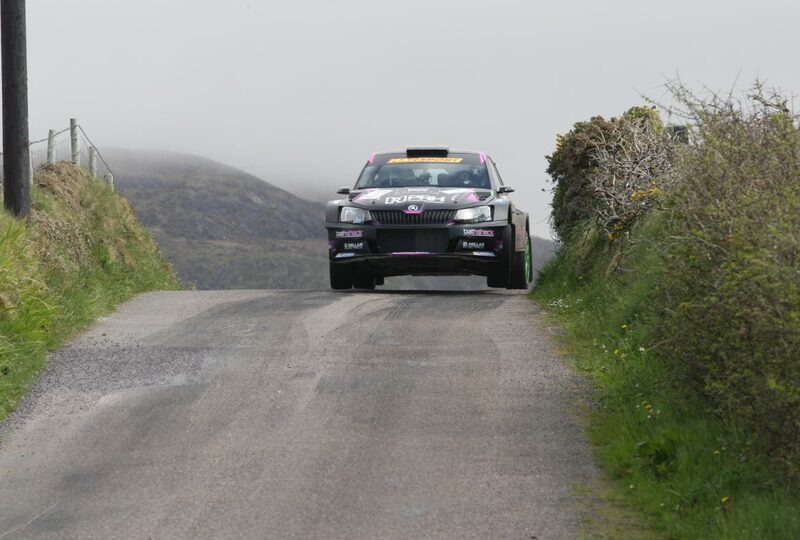 Championship leader Josh Moffett had a disappointing outing in Killarney where he was plagued by brake problems and could only finish sixth overall. This had the effect of cutting his championship lead from six points down to just one. With the tough three day Donegal Rally on the horizon Josh will be hard pushed to maintain his championship lead. Second placed Robert Barrable is only one point behind after a heroic drive in Killarney where he was unlucky not to win the event outright. Last year’s Donegal Rally wasn’t too kind to the Dublin driver when he crashed his Hyundai out on the opening day. This year he has increased his speed on each round to date driving a Fiesta and if he stays out of trouble in Donegal he will fancy his chances of strengthening his championship challenge. The reigning Tarmac Champion Sam Moffett has had a relatively low key defence of his title so far with two second places and a third in Killarney where he wasn’t quite able to match the pace of the leaders on a consistent basis. Nonetheless he is only two points off the championship lead with Donegal being one of his stronger events in the past. Sam is one of the few drivers competing for the championship that is a former winner of the event having tasted victory in 2013. Johnny Greer lies fourth in the championship and although he is fifteen points behind Moffett, he has adapted very well to driving a Fiesta instead of his usual Citroen this year. He took an impressive fifth place in Killarney and should have good momentum going into Donegal. Desi Henry is a further point behind Greer after a mixed year to date. Driving a Fiesta on the opening round in West Cork he achieved a solid finish but a switch to a Skoda for the Easter stages promised a lot more. Unfortunately his rally ended prematurely when he slid off the road and lost out on valuable points. However it was a different story in Killarney as he drove an excellent rally to finish third overall and scoop second place points which moves him back into contention. Kevin Eves the reigning Modified Champion got the season off to a good start taking full points from the opening two rounds. However things went wrong in Killarney with a bent axle putting him out after only two stages. A fine result for John Bonner who took full points in Killarney means that the gap is now just five points with J.R. McDaid in third place just two points behind Bonner. With all of the top three from Donegal, there are more than just points at stake in the middle of June. Jason Roche is currently lying in fourth place ahead of Stephen Bawn, with Jason McSweeney & Wesley Patterson next up but there are a quite a few registered quick drivers who haven’t scored many points to date. John O’Donnell, Damian Tourish, Kevin Gallagher, Kyle McGettigan, Stuart Darcy and Michael Boyle all hail from Donegal and the presence of these drivers on the next round could turn the championship on its head. The Historic Championship sees Owen Murphy with 51 points after winning three of the four rounds to date with Duncan Williams in second place thirteen points behind. Denis Cronin in third place is a long way back on 24 points. 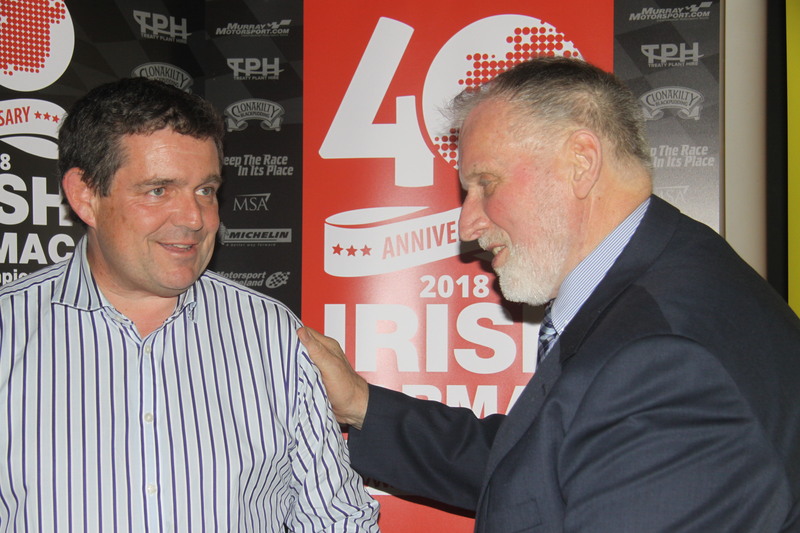 None of the top three registered drivers are in Donegal though, with fourth placed Martin Freestone the highest positioned championship driver. Top seed is Martin Doherty who was very impressive in West Cork before he retired while Andy Johnson, David Goose & Brendan McAree are all in the hunt for points. Gary McNamee leads the Junior Championship despite not starting the last round due to work commitments. He still holds a seventeen point lead over Shay Delaney from Wexford who took full points in Killarney, but is on the reserve list at present in Donegal. Gareth Deazley & Derry Long are just three points further back and have a chance of challenging McNamee in championship terms with a good result.